The trolling action has been slow. Last week I spoke to many anglers as we trolled by with only few fair catches. Blades and a worm has been the most productive with Rapalas coming in second. 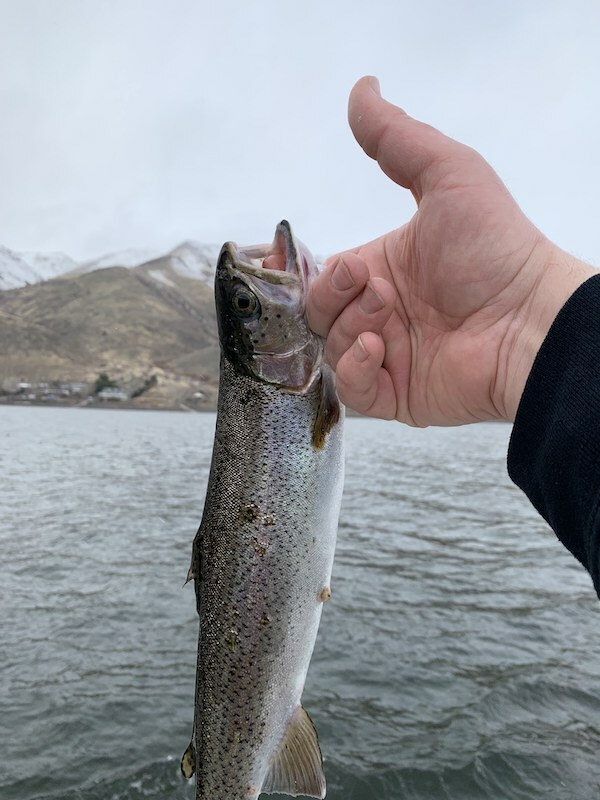 The shore anglers have been more productive for the larger trout. Tom Blotter from Minden sent me a picture of a 20 inch tagged rainbow he caught last Tuesday. I did not get a weight on it, but guessing around 3.5 to 4 pounds and worth $100 at the Topaz general store. It is a toss up between Powerbait or night crawlers. But I do advise that you have a lot of patience. The report is that between 4 groups of anglers , it took a couple hours to get a bite. But for Tom, it was well worth the wait.